A mile above the ocean, something very expected happens to Jace and Kendall… followed by something very unexpected. If you loved Still a Bad Boy, you'll love this. It's a short and sweet story that has been rated as a million out of ten on the spicy scale. Note that if you haven't read Still a Bad Boy then this is likely to be full of spoilers for you. If you have read Still a Bad Boy, this will give you a massive teaser for where the next book in the series is going to go. It's Austin's birthday, and Skylar has a very special gift for him. After that, a meeting with Jace and Kendall brings more than just a cake and best wishes. Things are about to get explosive, as if they weren't already dangerous enough. Once again, if you haven't read the previous books, this bonus story is likely to be full of spoilers and if you have then this will give you a big teaser about where the series is going next. 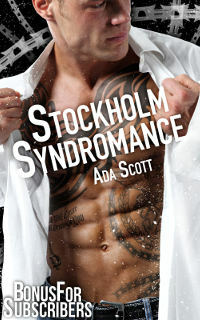 Sarina's craving brings her face to face with her past… but Ryan has changed that as much as he's changed her present. Her question about how he did it is forgotten when Ryan asks the most important question he's ever asked in his entire life and he promises to change her future too. And what's this good news Jace has for them? Once again, if you haven't read the previous books, this bonus story is likely to be full of spoilers. On a tropical island, Eric and Eliana manage to get some alone time for the first time since their major life event several months ago. They plan on making the most of it. Once again, if you haven't read the previous books, this story is likely to be full of spoilers. It's Kris and Amy's big day. Find out who joins them for the special occasion! Amy does something unexpected at the altar, and Kris makes her pay for it in all the hottest ways later that night! 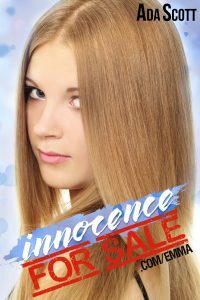 Note that if you haven't read InnocenceForSale.com/Amy this book is full of spoilers! This is a short story about Emma, who had an intense experience in her time as an IFS girl!